Dark blue glazed ceramic table lamp with gold floral design a truly stunning table lamp that will create a touch of instant classic appeal in any setting. Standing on a turned wood stand and finished with a high quality handmade pleated cream empire lampshade. 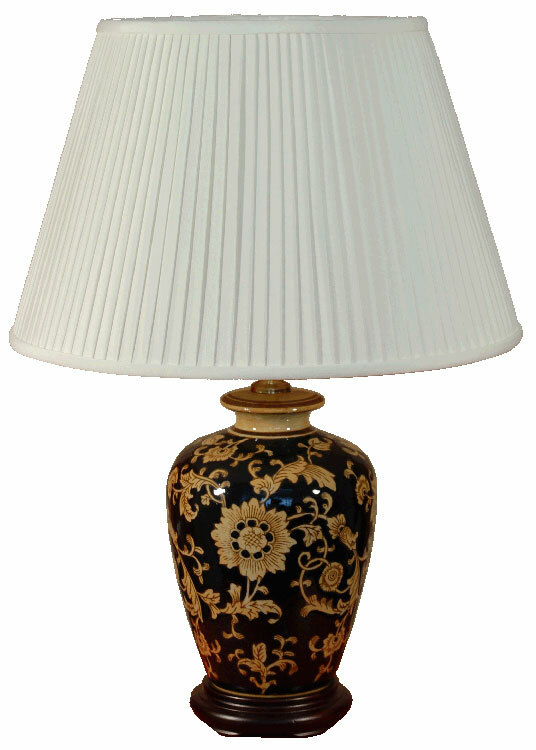 Height 14″ to the lamp holder, excluding the shade. We will supply a shade carrier and pop in a lamp bulb so you can use your table lamp immediately. Available without lampshade if required please see below for details.